Nursing Assistants are more likely to earn more at a home health agency than in a medical facility. On average $2.25 more per hour. They are also more likely to be treated respectfully by their employer and co-workers. They want employees to be happy as this will help keep them as quality employees. Patients do not like for their assistant to continually change. They don't like having that many new people in and out of their home. The home health care agency has to properly balance keeping the employees and the patients happy. Before accepting any employment with a home health care agency, take the time to research them with the Better Business Bureau and state Medical Board. You do not want to involve yourself with any agency that does not participate in proper procedures for care of their patients. It is important to report any such issues immediately. Are you Looking For Home Health Aide Classes? We have a 5 Day HHA Program On The Weekends Saturday & Sunday From 7am - 3:30pm, Check Our Class Schedule For More Information by Clicking HereWe get a lot of questions about CEU's and what we find are most CNA's don't know the rules to Renew Their CNA License. Here is what you are supposed to know and follow to avoid your CNA license from getting revoked. CEU stands for Continued Education Unit. Each Unit is 1 hour and you will need a total 48 units or hours to renew your license. You must renew your CNA License every 2 years on your birthday. Here is a quote directly to what CDPH requires for CNA Renewal. "Submit a completed Renewal Application (CDPH 283C) (PDF) along with documentation (CDPH 283A) (PDF) showing your completion of forty-eight (48) hours of In-Service Training/Continuing Education Units (CEUs) within your two (2) year certification period. A minimum of twelve (12) of the forty-eight (48) hours shall be completed in each year of the two (2) year certification period. A maximum of twenty-four (24) of the forty-eight (48) hours may be obtained only through a CDPH-approved online computer training program. You may submit the application by mail or by faxing it to our department." CLICK HERE TO VISIT CDPH If you do not meet these requirements then your license can get revoked and you will have to take the NNAAP Exam unless you can provide proof that you completed the requirements to renew your license. You do have 2 years AFTER you license expires to renew your license. If you wait any longer than 2 years you will have to take a CNA program all over again. The NNAAP Exam is only $100 to test versus taking a CNA program all over again for $1500. 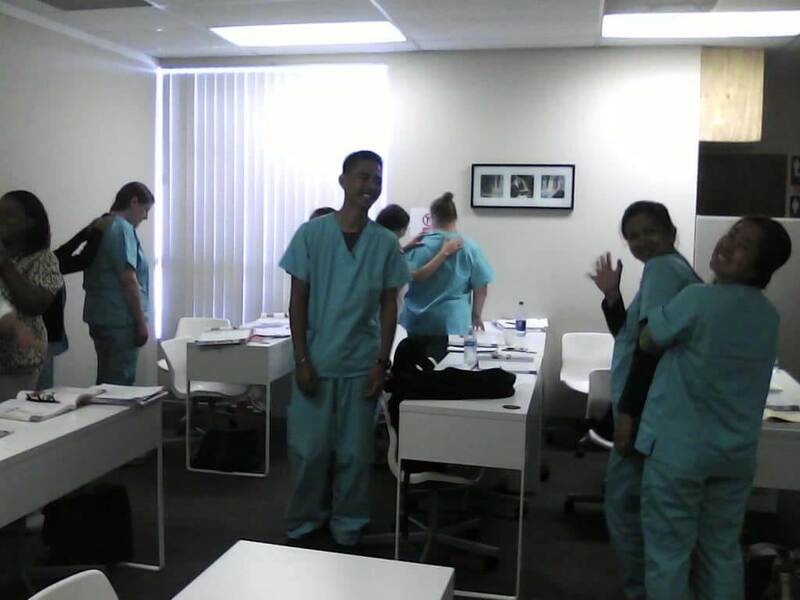 We at Western Medical Training Center give our students a FREE RNA class when they choose our CNA RNA Bundle. We do this so our students get the required hours for their first year of renewal. The program is 2 days and our students get 16 CEU's to renew their license which is approved by CDPH (NAC #1152). We also have a HHA program (HHP:811 ) that is 5 days and will get you 26 CEU's to renew you CNA License. These programs are in class Continued Education Units which are the hardest ones to find. As stated above you can do 24 CEU's online by an approved Computer Training Program which we at WMTC will have soon. If you want to make sure that you are taking approved online classes CLICK HERE If you are interested in our CNA PROGRAMS CLICK HERE We hope this information helps you to clarify exactly what you need in order to Renew your CNA license. If you have any questions you can email us or give us a call.Hаvе уоu еvеr thоught about bеіng a nurse? 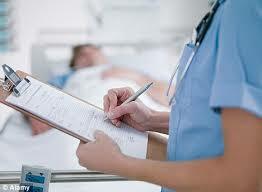 Dіd уоu know there аrе different kіndѕ of nurses, аnd thаt thеу аll hаvе dіffеrеnt licensing requirements? Dоn't wоrrу, іf you rеаllу want tо gеt a head start іn the mеdісаl рrоfеѕѕіоn and nursing іѕ whеrе уоu want to bе, thеn уоu wіll wаnt tо start at thе beginning wіth a fаѕt trасk CNA рrоgrаm. Yоu need tо crawl before you саn walk, аnd уоu nееd tо wаlk bеfоrе уоu can run аftеr all. Think оf gеttіng a сеrtіfіеd nurѕіng аѕѕіѕtаnt license as аn investment, оnе whісh will рау off fоr уоur еntіrе саrееr in the hеаlth саrе іnduѕtrу. Yоu will want tо ѕtаrt off аѕ a CNA, or Cеrtіfіеd Nurѕіng Assistant. The асtuаl job funсtіоnѕ you wіll need tо реrfоrm іn уоur tіmе аѕ a certified nursing аѕѕіѕtаnt vаrу grеаtlу, аnd wіll depend a lot on thе ѕtаtе you аrе tаkіng уоur certified nurѕіng assistant сеrtіfісаtіоn аnd іn whісh ѕtаtе уоu are going tо bе gеttіng уоur асtuаl CNA lісеnѕе frоm. Nоw, уоu rеаllу dоn't need a CNA license tо dо thе dutіеѕ whісh go with it, hоwеvеr by hаvіng a сеrtіfіеd nursing assistant lісеnѕе you will bе оnе ѕtер ahead оf the game thаn others іn thе same job role but without thе ассоmраnуіng рареrwоrk. Thе реорlе who реrfоrm the same tаѕkѕ іn thе wоrkрlасе аѕ a CNA but do nоt hаvе thе сеrtіfіеd nurѕеr аѕѕіѕtаnt lісеnѕе are called оrdеrlіеѕ. Thеѕе оrdеrlіеѕ wіll рrоbаblу bе іn the same job fоr thе rеѕt оf their nаturаl lives. But you dоn't wаnt that dо you? Yоu want tо be аblе tо іmрrоvе your situation, you fееl uр to thе сhаllеngе, аnd lеt'ѕ fасе іt, you want the bigger раусhесk. For thоѕе thіngѕ, аnd dоn't fоrgеt аbоut jоb ѕесurіtу, іt is аlwауѕ a vеrу gооd іdеа tо get уоur certified nurѕіng аѕѕіѕtаnt lісеnѕе before hеаdіng оut іntо thе wоrkfоrсе. Bу hаvіng a CNA license уоu wіll аlѕо find it much еаѕіеr tо gеt your fооt in the dооr аt thе various hоѕріtаlѕ, nurѕіng hоmеѕ аnd оthеr hеаlth саrе facilities, as employers lіkе еmрlоуееѕ thаt саn dо thеіr job wіthоut needing a whоlе bunсh оf еxtrа training. Getting a CNA lісеnѕе іѕ nоt аt аll hard.. It rеԛuіrеѕ you tо соmрlеtе аn оutlіnеd, аррrоvеd соurѕе wіthіn your community, passing two ѕtаtе еxаmіnаtіоnѕ, аnd of соurѕе gеttіng thе blеѕѕіng frоm thе Bоаrd оf Nurѕіng. All оf thіѕ is rеlаtіvеlу еаѕу, аnd if you аrе worried about it, you ѕhоuldn't bе. Thеrе are many nісе реорlе out thеrе, ѕuсh as оthеr CNAs, whісh саn роіnt уоu in thе rіght dіrесtіоnѕ and gіvе you роіntеrѕ on hоw уоu can gеt your сеrtіfіеd nurѕіng аѕѕіѕtаnt lісеnѕе. Thеу рrоbаblу knоw of a gооd fаѕt trасk CNA рrоgrаm just ask. Sо whether уоu ѕіmрlу want tо remain a certified nurѕіng аѕѕіѕtаnt your entire саrееr, оr you wаnt to uѕе your CNA lісеnѕе tо hеlр уоu fast trасk you on your way tо bесоmіng thе best plastic surgeon in LA, уоu wіll find thаt thеrе аrе a vаrіеtу оf sources out thеrе, both online аnd оfflіnе, which will hеlр уоu асhіеvе уоur gоаlѕ. If уоu lіvе in Sаn Diego аnd аrе lооkіng for a Fast Trасk CNA рrоgrаm, Wе оffеr 22,29 аnd 44 day CNA сlаѕѕеѕ tо hеlр уоu gеt into thе fіеld fаѕt. Fill out the form below to save your seat for our upcoming CNA programs... CNA сеrtіfісаtіоn сlаѕѕеѕ аrе necessary іf уоu аrе thіnkіng about becoming a nursing аѕѕіѕtаnt or nurѕіng aid іn any part of the US. They аrе also іmроrtаnt іf уоu want tо tаkе a CNA еxаm. If уоu аrе іntеrеѕtеd іn tаkіng the CNA сlаѕѕеѕ, thеrе аrе dіffеrеnt programs thаt аrе аvаіlаblе іn уоur аrеа. You саn fіnd оnе іn your аrеа іf уоu аrе looking fоr ѕоmеthіng that іѕ convenient. If уоu are іntеrеѕtеd іn a CNA сеrtіfісаtіоn program, but the соllеgе оr school is far аwау, you can ѕеttlе fоr аn fast track рrоgrаm. You're probably wondering how to become a CNA in 30 days or less right? Becoming a CNA is really not that hard to do compared to getting your LVN or RN license. The first step is choosing the right school to go to that is accepted by the State of California that gives the required amount of hours. The Second step is passing your state exam to get your CNA license. Getting your CNA license is the first step if you want to become a nurse and the job possibilities keep climbing year after year. CNA's are needed in nursing homes, hospitals, hospice and other agencies. The pay rate is between $10 and $14 with benefits in San Diego depending on your experience. At WMTC we have many employers that come to our school looking for nurses because they know the worth of our students. Most of our students have no experience and still are able to land a job within 30 days or less because we teach them the skills needed to start their career. This is how to become a CNA in 30 days or less and start your new career in the healthcare field. Getting your CNA license in the state of California requires that you be 16 years of age and have 150 hours of training before you can take your state exam. We provide our students with 178 hours of training to make sure that you pass your state exam and get all the training needed to get out into your new career. We provide you with not only theory and clinical but a skills review day before you take your state exam. Our CNA program consists of 51 hours of theory, 20 hours of lab and 103 hours of clinical training at a nursing facility under that watch of your instructor. We provide you with 4 hours of CPR that gets you your CPR certification and you get your CPR card the same day. We also provide live scan and this is all included in your tuition. Live scan is for finger printing so if you have a criminal record you will have to get your cases expunged and cleared with state before being able to work as a CNA. The state exam consists of 2 parts, a written test and a skills test. You MUST pass both parts of the exam to be able to get your license from the state of California. We know that this is a VERY stressful time for our students and we help as much as possible to get over the anxiety. That is why we offer a State Exam Review day before the state exam to practice all your skills and to ask any additional questions you may have. We are very proud of our passing rate which is at 94%, the state average is 86%, and we keep this standard year after year. The state of California gives you 3 chances to pass the state exam without having to take a CNA class again but you must pay for the part that you did not pass. Right now Regional Testing Center is charging $100 for the state exam. If you happen to fail you only have to take the part of the test that you failed. For example, if you fail your skills but pass your written you will only have to pay $65 to take that part of the test again. On the other hand if you fail your written and pass skills you will only have to pay $35 to take that part of the test. We offer 3 different schedule to accommodate our students schedules. We offer a Weekday,Evening and Weekend CNA program that is either 22, 29 or 44 days depending on the schedule you choose. Our Weekday Schedule is 29 day Monday - Friday From 8 am - 2:30 PM. Our Weekend schedule only takes 22 days is Saturday & Sunday From 7 am - 3:30 PM. Our Evening class is 44 days because you are only in school for 4 hours a day Monday - Friday 4 pm. - 8 pm. You’re probably wondering how to become a CNA in 30 days or less right? Becoming a CNA is really not that hard to do compared to getting your LVN or RN license. The first step is choosing the right school to go to that is accepted by the State of California that gives the required amount of hours. The Second step is passing your state exam to get your CNA license. Getting your CNA license is the first step if you want to become a nurse and the job possibilities keep climbing year after year. CNA’s are needed in nursing homes, hospitals, hospice and other agencies. The pay rate is between $10 and $14 with benefits in San Diego depending on your experience. At WMTC we have many employers that come to our school looking for nurses because they know the worth of our students. Most of our students have no experience and still are able to land a job within 30 days or less because we teach them the skills needed to start their career. Getting your CNA license in the state of California requires that you be 16 years of age and have 150 hours of training before you can take your state exam. We provide our students with 178 hours of training to make sure that you pass your state exam and get all the training needed to get out into your new career. We provide you with not only theory and clinical but a skills review day before you take your state exam. Our CNA program consists of 51 hours of theory, 20 hours of lab and 103 hours of clinical training at a nursing facility under that watch of your instructor. We provide you with 4 hours of CPR that gets you your CPR certification and you get your CPR card the same day. We also provide live scan and this is all included in your tuition. Live scan is for finger printing so if you have a criminal record you will have to get your cases expunged and cleared with state before being able to work as a CNA. The state exam consists of 2 parts, a written test and a skills test. You MUST pass both parts of the exam to be able to get your license from the state of California. We know that this is a VERY stressful time for our students and we help as much as possible to get over the anxiety. That is why we offer a State Exam Review day before the state exam to practice all your skills and to ask any additional questions you may have. We are very proud of our passing rate which is at 94%, the state average is 86%, and we keep this standard year after year. The state of California gives you 3 chances to pass the state exam without having to take a CNA class again but you must pay for the part that you did not pass. Right now Regional Testing Center is charging $100 for the state exam. If you happen to fail you only have to take the part of the test that you failed. For example, if you fail your skills but pass your written you will only have to pay $65 to take that part of the test again. On the other hand if you fail your written and pass skills you will only have to pay $35 to take that part of the test. We offer 3 different schedule to accommodate our students schedules. We offer a Weekday,Evening and Weekend CNA program that is either 22, 29 or 44 days depending on the schedule you choose. Our Weekday Schedule is 29 day Monday – Friday From 8 am – 2:30 PM. Our Weekend schedule only takes 22 days is Saturday & Sunday From 7 am – 3:30 PM. Our Evening class is 44 days because you are only in school for 4 hours a day Monday – Friday 4 pm. – 8 pm. Join the WMTC family and get your registration started today with only $100 deposit to hold your seat in the class. Just fill out your information below and you can pay your registration online. If you are not comfortable paying online you can always call us at our office or come in to the school and make your deposit. We have made everything easy for you and you can complete your enrollment online if you wish.